We may never see a year like we experienced in 2016, when such an unmerciful parade of country greats passing away left us with a renewed appreciation for the legends while their still living. But every death, from the often under-heralded songwriters and behind-the-scenes session musicians, to the principal members of huge Southern rock bands, is significant in the way it shapes the future and how we must move forward without them. Here are some of the greats we’ve lost so far in the country and roots world in 2017. The guitar playing native of Oklahoma is famous for losing a coin flip to Ritchie Valens and giving his seat up on the fateful plane that took the lives of Buddy Holly, Valens, and The Big Bopper in 1959, also known as “The Day The Music Died.” Tommy had met Buddy Holly in 1958 in Clovis, New Mexico and became the lead guitarist for The Crickets. At the time of the crash, Buddy Holly was also touring with Waylon Jennings in his band, who also gave up his seat in the plane. 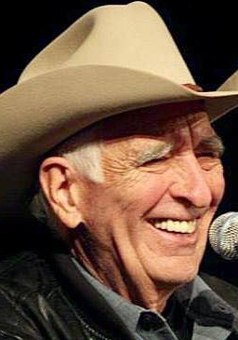 Tommy Allsup later became a producer and A&R man for Liberty Records, producing albums from Willie Nelson, Tex Williams, Billy Mize, Kenny Rogers, Charlie Rich, Bob Wills, Waylon Jennings, Zager and Evans, and others. Allsup also produced the first United Artist Records release for Ray Benson’s resurgent Western Swing group Asleep at The Wheel in 1972, and the very last LP of Bob Wills in 1973. 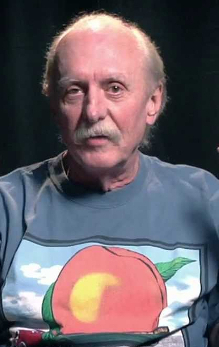 It’s still not easy to process this story behind the passing of long-time Allman Brothers drummer and founding member Butch Trucks. 69-year-olds die every day of natural causes, and when the news initially emerged, it was incredibly sad, but not instantly tragic in the way it feels when the sense is someone was taken too soon. But the revelation by the police in West Palm Beach that the preliminary cause of death is suicide is not only shocking and tragic, but hard to settle into because Butch Trucks just never came across as one who was sad, downtrodden, or one who you would expect to take his own life. Butch Trucks had a lot of things going for him, and lots of plans for the future. This was evident in an interview he granted just hours before he would die to John J. Moser of The Morning Call. 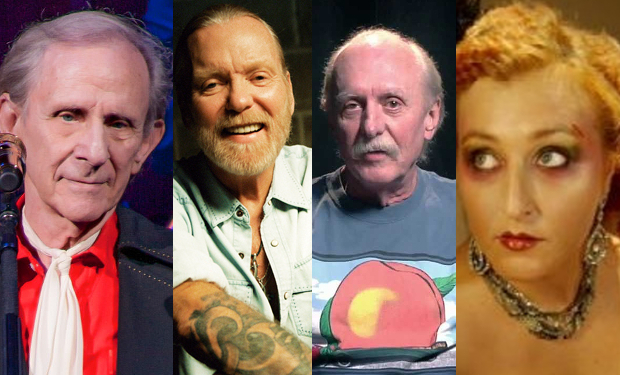 In the 30-minute interview, Trucks talked about his new band called Butch Trucks and The Freight Train Band, which had numerous shows and festival appearances planned in the short term, and was the reason for the interview. According to Moser, Trucks was jovial, talkative, excited about the new band, and proud of his garden. There was no indication of a troubled mind. 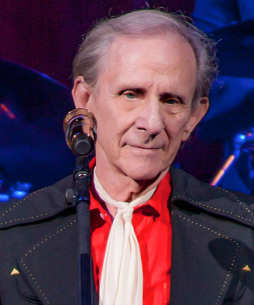 Don Warden was one of the original members of the Porter Wagoner Trio, and spent nearly 50 years in service to Dolly Parton. As the manager and steel guitar player for Dolly, Don Warden became known as Dolly’s “Mr. Everything.” From her business affairs, to her band, to her fundamental sound, Don Warden was there every step of the way throughout her career until failing health sidelined him recently. Don’s wife Ann Ann also worked for Parton, serving on the board of the Dollywood Foundation which launched Dolly Parton’s Imagination Library in 1995, and also helping with the Dollywood theme park and Dolly’s Tennessee Mountain Home homestead. A master of the macabre, a siren of steampunk, a vital part to the formation of underground roots, and a sister to so many artists and fans who followed her musical journey from the French-speaking regions of Canada to the forgotten spaces in Austin’s authentic underbelly, Izzy Cox was a creative burst that unabashedly explored the dark regions of the human mind and soul with courage and honesty, backed up by a divine voice carried upon billowous talent. She never fit into this world quite right, and that is what made her such a compelling and beloved artist. Her first musical output came in the form of mix tapes she released while in custody for juvenile delinquency in Canada. 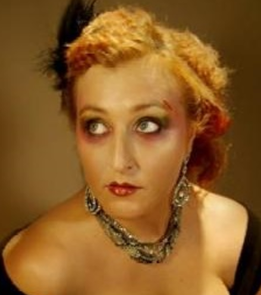 Later she would become a fixture of the Montreal independent music scene, releasing multiple records and rubbing elbows with artists such as the Rufus and Martha Wainwright among others, and also spending time in New York. Born October 2nd, 1964 and a native of Wagarville, Alabama in the southern part of the state, Tammy first began to sing professionally with her father Jerry in 1978 at the age of 14. Tammy, a a mezzo-soprano, would sing lead and play upright bass, while Jerry would play guitar and sing harmony. Though the duo made some early recordings, it wasn’t until Tammy graduated high school in nearby Leroy, AL, that the duo was able to travel to play music. 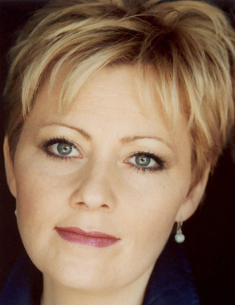 Tammy’s powerful, uplifting voice soon became one of the most respected and sought after in Gospel and bluegrass. Wendell Goodman was the husband, manager, and long-time right hand man of the Queen of Rock and Rockabilly, Wanda Jackson. Wendell Goodman met Wanda after writing Wanda’s 1961 hit “Right or Wrong.” At the time, Wendell was a computer programmer for IBM. Though not as high-profile as Wanda’s short-lived relationship with Elvis Presley, Wendell Goodman’s work and encouragement of Wanda would result in the longevity of her career. 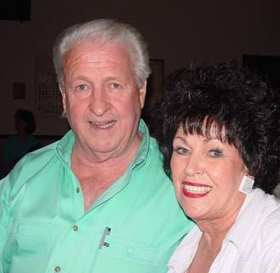 After the passing of Wanda’s father and first manager Tom Jackson, Wendell took over as manager of Jackson, and launched “Wanda Jackson Enterprises” based in Oklahoma City. The couple had two children together, and raised them in Oklahoma City. George Reiff was the bass player who was so much more. He was a keeper of a sound that so many wanted to capture in the studio, and so many failed to do so. It was the sweat of Small Faces, and the voodoo of Tony Joe White that he was able to adhere to the tape. Joe Walsh, Ringo Starr, Ray Wylie Hubbard, Bruce Robison, Charlie Robison, The Dixie Chicks, The Court Yard Hounds, Tedeschi Trucks Band, The Band of Heathens, Lincoln Durham, Jason James, and Charlie Sexton is just a smattering of the names that George Reiff worked with over the years as the go-to bass player in Austin, TX. At the age of 12, George Reiff was living in New York City and asked his mother for a guitar like the one Paul McCartney plays. Little did George know at the time that Paul played a bass guitar, but he fell in love with the instrument and after moving to Texas at the age of 16, playing bass became his life long pursuit. His first gig was playing with Tex-Mex star Joe “King” Carrasco. Along with touring as a bass player and his studio work, George Reiff owned The Finishing School—an analog/digital recording studio where Ray Wylie Hubbard, Shinyribs, Lincoln Durham and others recorded albums. Reiff was also admired around Austin as a pastry chef, and was utilized as a food consultant for numerous restaurants in Austin. Jimmy LaFave was known just as much as one of the pillars of Austin music as he was an important part to Oklahoma and the Red Dirt sound. Born in Wills Point, TX and raised in the Dallas suburb of Mesquite, he started early as a drummer, but quickly transitioned to a singer and songwriter where the musical legacy of Woody Guthrie would play a huge role in his career, helped along by a move to Woody’s home state of Oklahoma where LaFave attended high school in the Red Dirt stronghold of Stillwater. For the next 30 years, Jimmy LaFave would help form Austin music into the “Live Music Capital of the World.” LaFave helped start the famed songwriter nights at Austin’s Chicago House, and started recording albums that would be the cornerstone of the Austin sound in the early and mid 90’s including Austin Skyline and Highway Trance. Later his music would embody more of his Oklahoma roots and influence in albums like Buffalo Return to the Plains and the influential Texoma from 2001, drawing a bridge between his two musical homes. 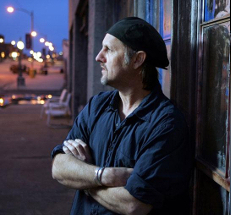 Jimmy LaFave did tremendous work preserving the legacy of Woody Guthrie in Oklahoma and beyond. He performed on Austin City Limits and made numerous appearances on NPR’s Mountain Stage while touring nationally and internationally, and gaining a wider recognition beyond the Texoma region. Gregg Allman, a towering pioneer of Southern rock, roots jazz, blues and country, has died at the age of 69. Allman had been recently suffering from numerous health ailments, including a diagnosis of hepatitis C in 1999, and he underwent a liver transplant in 2010. Earlier in 2017, Allman had canceled all tour dates due to health concerns. He passed away peacefully at his home. 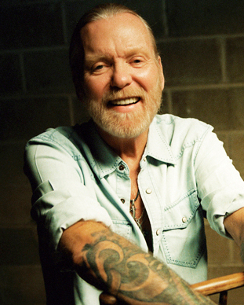 Along with his brother Duane who died tragically in a motorcycle accident in 1971, Gregg Allman fronted one of the most pioneering bands in American music history, straddling the lines between rock, improvisational jazz, blues, and country roots. His death leaves a gaping hole in the Southern rock and American roots scene. Songwriter and performer Bobby Boyd was known for writing numerous hits, including the Garth Brooks #1 “Two of a Kind, Workin’ on a Full House,” Aaron Tippin’s “Working Man’s PHD,” as well as songs for the Nitty Gritty Dirt Band, Conway Twitty, George Jones, Earl Thomas Conley, Billy Dean, Martina McBride, Vern Gosdin, Patty Loveless. 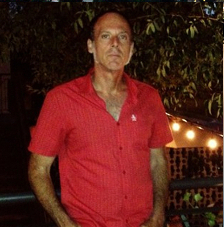 Bobby Boyd was a staff writer for Jimmy Bowen at Elektra Asylum Publishing, starting his professional songwriting career in Nashville in 1980. A native of Dunlap, Tennessee, Boyd began playing in his first band in Tennessee at the age of 12 called The Boyd Brothers. Bobby cut his teeth in the late 60’s and early 70’s performing residencies at a club called The Castaways in Chattanooga, TN, sometimes playing five hours each night, six hours a week, and learning his way in the music business. As you stated, Butch Trucks’ death is a hard one to get my head around. Senseless. It’s on my list. Good call. I went about 15 years ago. There was fewer people to see. You will not know him but he was very famous in Germany. Gunter Gabriel died last week (age 75). The award winning singer/songwriter/producer/tv-host/musical-star became famous in the early 70’s with his song “Hey Boss Ich Brauch Mehr Geld” (“Hey Boss I Need More Money”). 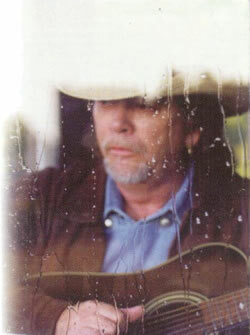 He recorded in Nashville & in the old Johnny Cash studio in Hendersonville (2003). He released an album with german versions of Johnny Cash songs & played Johnny Cash in a musical (with Helen Schneider as June Carter Cash). Gunter Gabriel was a rough & rowdy guy. He went bankrupt, was married four times & talked about his addictions. Together with Tom Astor Gunter Gabriel was the leading male country artist in Germany & there is no younger singer to fill the shoes. 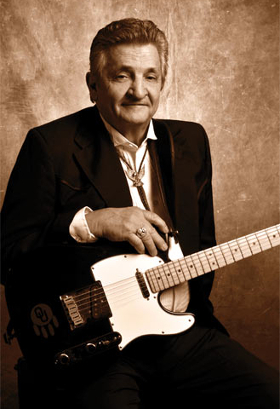 I realized Jimmy LaFave had passed on my birthday this Year,May 21st,but now just learning that Wanda Jackson’s Husband,Wendell Goodman & George Reiff also passed that day leaves me thinking my birthday sucked more than I knew,, Glad I got to see Jimmy Live last time I was in Austin(2013).. Think I might have an idea for a sad birthday song ??? God Bless them all…. And as the legends keep dying, this latest crop of pretenders, the “Bromeisters” especially, keep fouling up the airwaves with junk. The few that are doing the kind of material that holds up to close scrutiny, meanwhile, can barely get arrested (if at all) on the radio. Once again, we are likely asking what George Jones asked back in 1985, “Who’s gonna fill their shoes?”. And once again, the industry, and, unfortunately, to a great extent, the public, is coming up sickeningly short. Just another reason to hate most “list” articles 🙁 all kidding aside though, it seems the losses are getting more and more monumental with each year. Not sure if it’s simply a sign that we’re all getting older, the thought that there’s nobody “to fill their shoes”, the mortality of our heroes being so apparent or a combination of all these things. The Allman Bros. related deaths hit hard, as I grew up listening to Dad’s old vinyls and 8-tracks & those are childhood memories I’ll always hold onto. On a side note, for anyone who hasn’t, check out Jimmy Lafave’s Texoma. A modern masterpiece of an album in my opinion, and Never Was A Moment is as touching a song as you’ll find. Greg Trooper and Jimmy LaFave are the ones that get me. So overlooked. Surely Norro Wilson deserves more than a sentence. This man was one of the all time great country songwriters, penning everything from George Jones’ “The Grand Tour” to Charlie Rich’s “The Most Beautiful Girl” along with dozens of others, earning him Nashville Songwriter Hall of Fame status. He also had about a dozen moderately charting hits himself as a singer in the 1970’s and became a major record producer. His contribution to country music is at least as great as anyone who gets more notice here. I think Naomi Martin deserved a little more as well, she had a pretty decent career as a songwriter penning hits for Charley Pride, Jeannie C. Riley and others.